Veteran actor Alhaji Kasimu Yero has passed on. He died yesterday at the age of 70 years after a protracted illness at his residence in Kaduna, Northern Nigeria. The late seasoned actor had his primary education at Roman Catholic Mission School, Kaduna and his secondary school education at Alhudahuda College Zaria between 1962 and 1967 respectively. After his secondary school in 1966, he went on to Rumfa College in Kano and from there to Ahmadu Bello University, Zaria. He was admitted into Ahmadu Bello University, Zaria in 1970 to study fine arts but ended up studying for an Advanced Diploma in Public Administration at the Institute of Administration, Zaria, only to return to the Faculty of Arts and Social Sciences for his Masters Degree in Drama. After his graduation, late Yero got an appointment with the Kaduna state government as an Administration Officer. However, with his Advance Diploma, he went back to Kaduna Polytechnic for a Post Graduate Diploma in Public Administration. As a civil servant, Yero rose across several administrative positions as a Director, Art and Culture and Director, Film Production Services among others. Yero started his journey into the world of film production and acting while he was in secondary school as a member of the drama club. 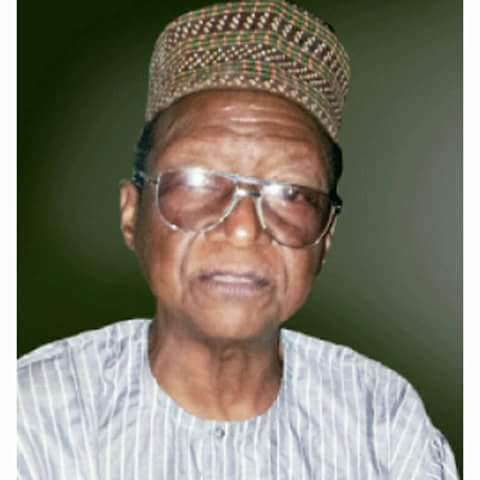 The late veteran actor first appeared on the television screen in 1972 in a Hausa drama ‘Tambari and ‘Kukan Kurciya’, having had his first contact with the television studios in 1970 as an artiste, a script writer and producer. Between 1979 and 1985, Yero was featured in a programme, ‘Cockcrow at Dawn’ a national programme sponsored by the United Bank for Africa. The drama followed the introduction of an agricultural programme ‘Operation Feed the Nation’ of the military government of General Olusegun Obasanjo. The drama was aimed to promote agriculture and encourage farmers to go to bank for loans and produce more foods for the country. When Cockcrow at Dawn was rested in 1985, the government made it mandatory for another network programme to run from the north. That led to a decision for adaptation into drama the Abubakar Imam’s ‘Magana Jari Ce’ (Wisdom is an Asset) in which late Kasimu Yero also played a lead character role as the drama was aired in English on Kaduna NTA. Kasimu Yero alongside Dalhatu Bawa pioneered drama productions in the northern Nigeria that later grew to be famous with the Northern audience. He was one of the famous actors in the northern region and was gifted with the talent to interpret humorous scripts into action for entertainment sake. Between 1975 and 1976, Yero was also involved in efforts to get films produced on Othman Dan Fodio, Kanta of Kebbi, Queen Amina of Zazzau, and also made efforts in seeing to the adaptation of a film titled Shehu Umar, a story by the late Prime Minister of the Federal Republic of Nigeria, Alhaji (Sir) Abubakar Tafawa Balewa. Late Yero was undoubtedly one of the icons and veteran northern actors and a delight of the Nigerian television screen back in the 1970s and 1980s. He professionally gave Northern Nigerians a feel of indigenous TV drama and films, laid the stage for Kannywood, the northern Nigerian film industry that has today become one of the biggest film industries in the world.